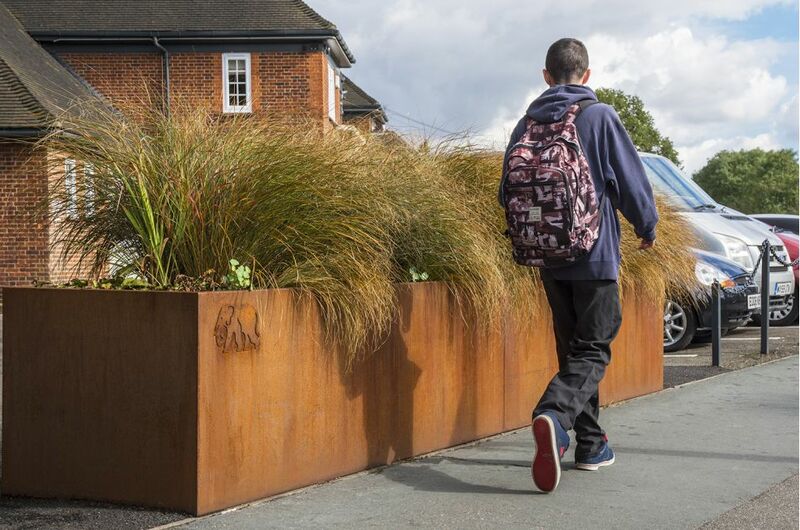 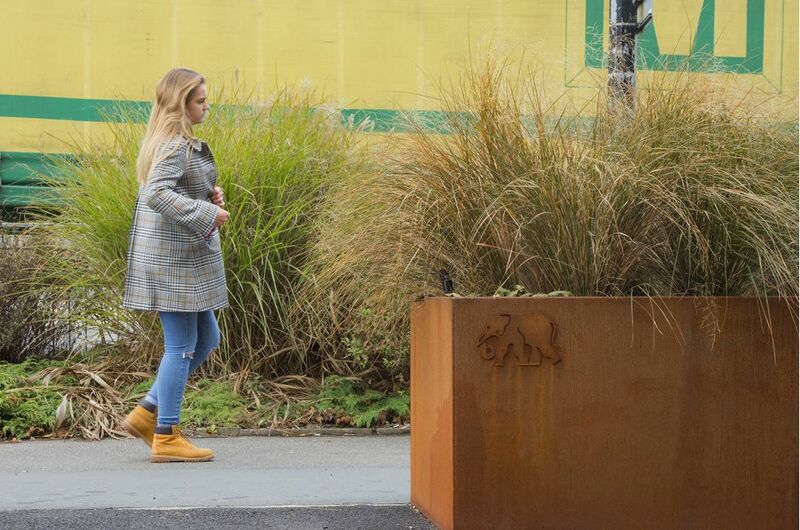 Corten Steel planters were commissioned for a walking route scheme – ‘Fixing the Link’ – designed to improve the experience of walking between Colchester railway station and the town centre. 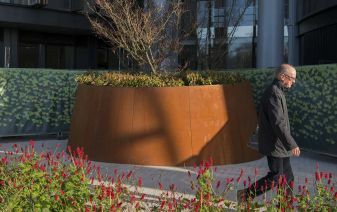 The planters were of dims. 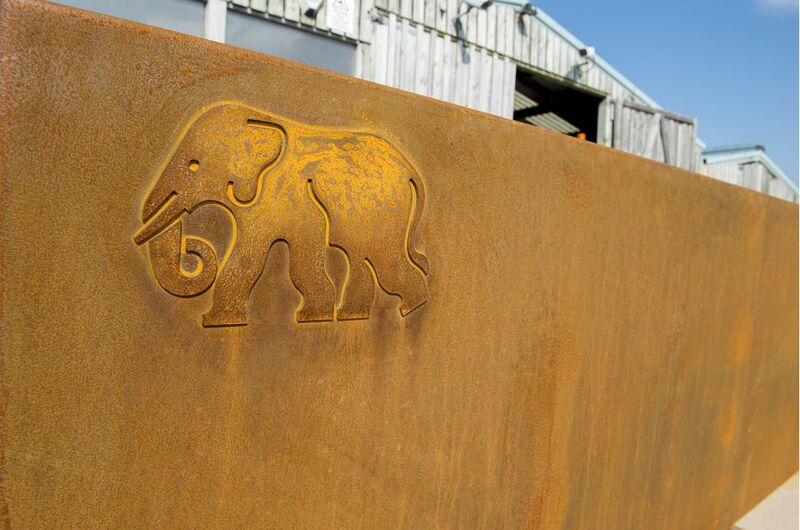 L 4500 x W 800 x H 700mm and manufactured from 3.0mm thick Corten Steel; and each planter included a laser-cut elephant decal under the ‘top-left’ rim of each long face. 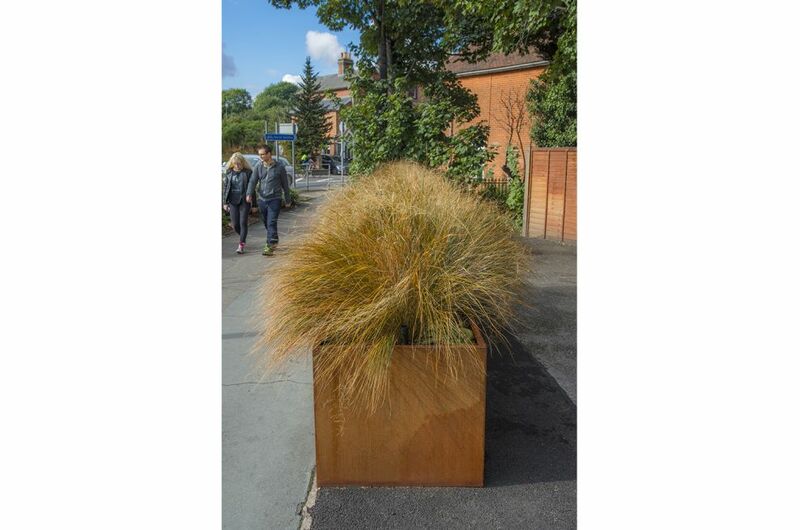 Corten steel planters are extremely durable and long lasting, and require no maintenance, and are thus ideal for public realm schemes. 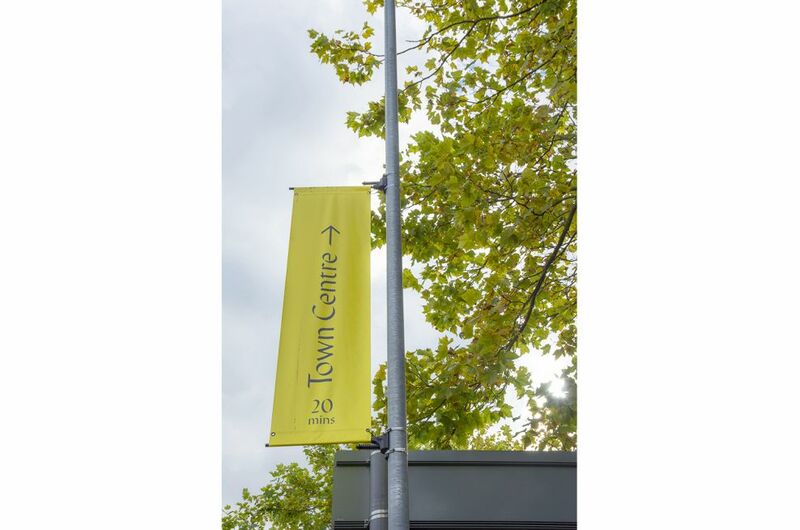 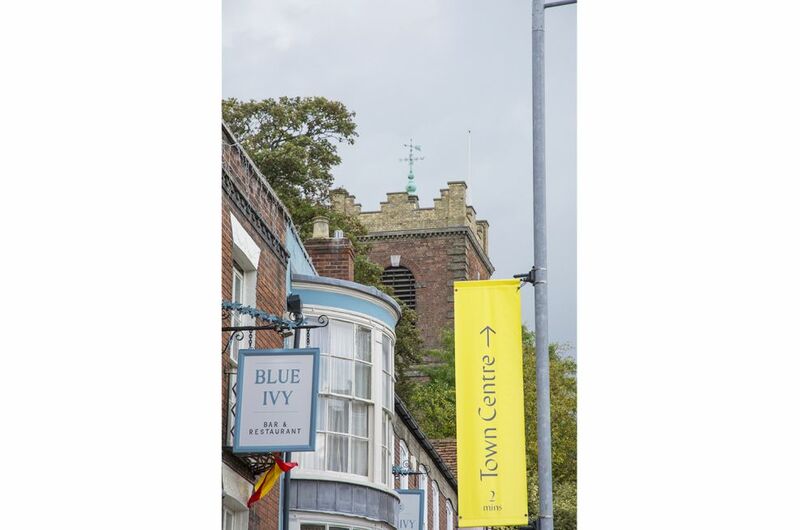 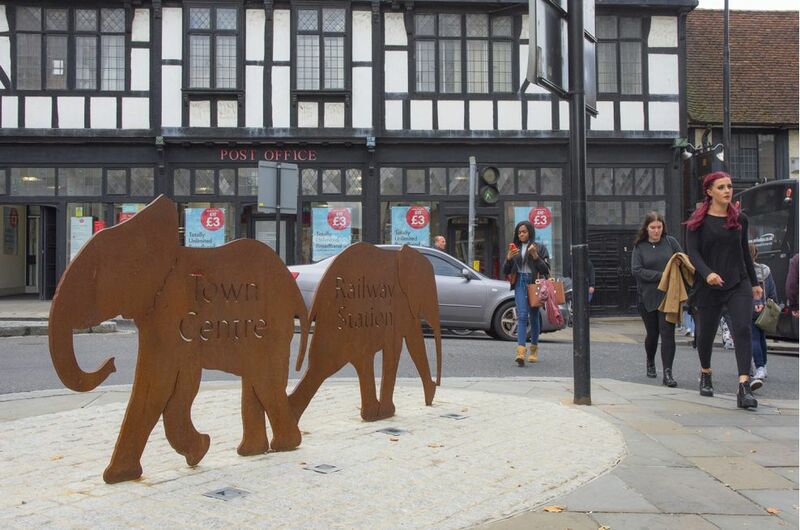 The walk from Colchester Station to the town centre is one mile, and takes approximately 20 minutes. 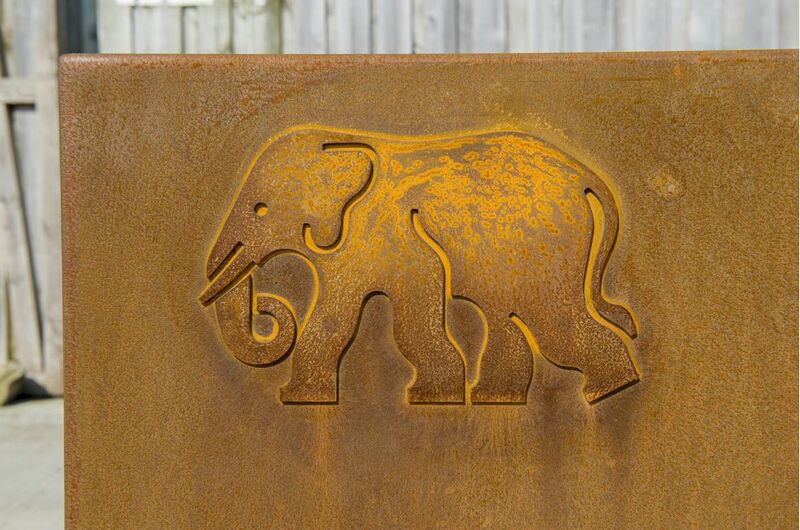 Designers Dallas Pierce Quintero were commissioned to create a cohesive and coherent walking route, which celebrated local history for first time visitors. 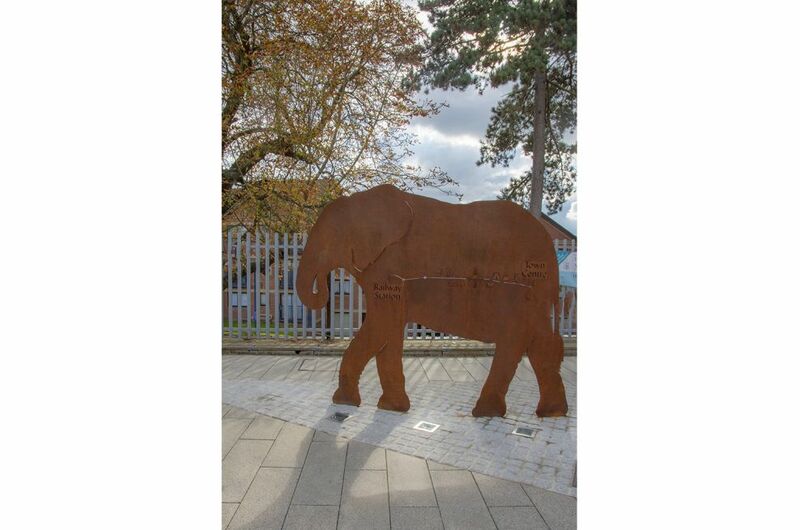 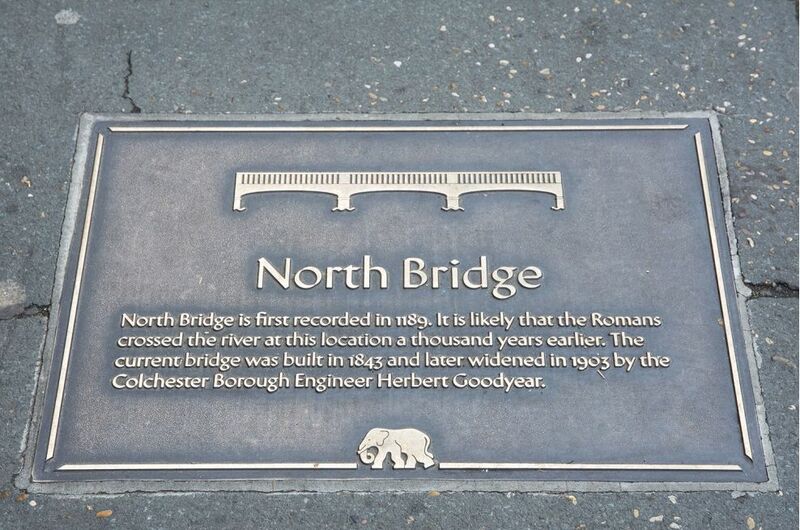 The elephant theme was inspired by Emperor Claudius’s dramatic arrival into Colchester with a herd of elephants to celebrate the victory of the Roman invasion. 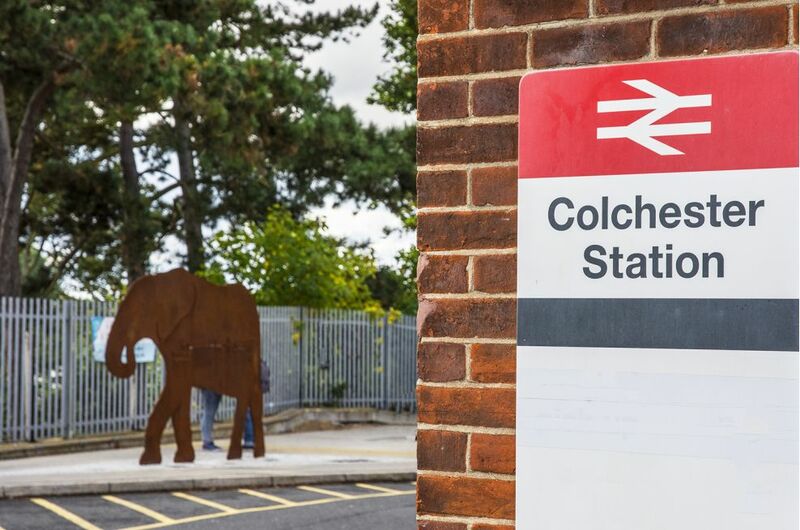 The walking route scheme is a joint initiative between Colchester Borough Council, Essex County Council and Abellio Greater Anglia. 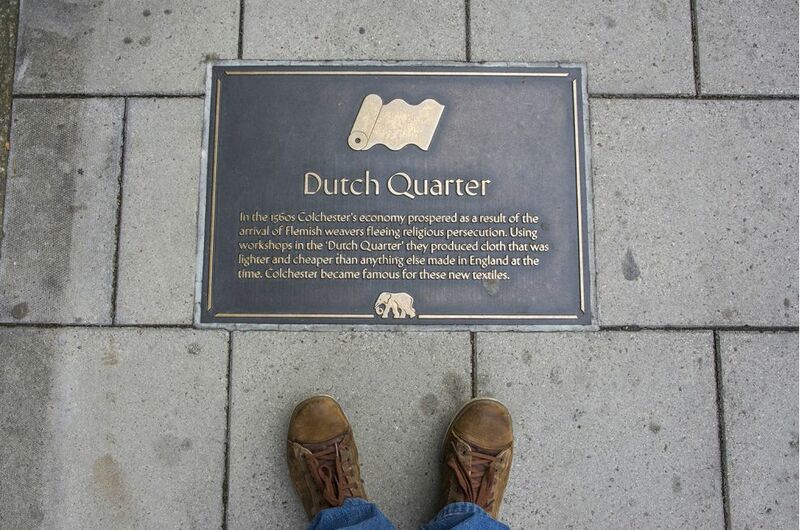 It is a concept pioneered in the Netherlands, and the Colchester scheme is the first time the concept has been used in the UK.